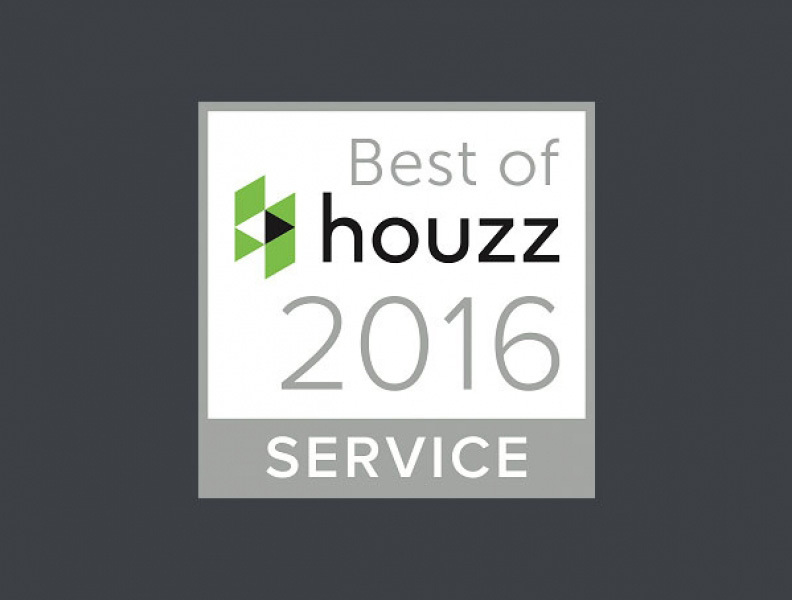 We are proud to announce that we are winners of the ‘Best of Houzz 2016 Award for Customer Service’. The award is presented to companies who regularly provide direct customers and the wider Houzz community with a high level of customer service. As can be seen by the various comments in our Testimonials page, Sand and Stone Landscapes are constantly focused on providing all of our customers fantastic customer service and high quality landscape design and construction. The Houzz award is judged based on the amount and quality of reviews a company receives. Check out some of the other landscaping awards we have won over the past few years. What is Houzz? After completing the labour intensive and sometimes stressfull process of renovating their own home, Adi Tatarko and Alon Cohen decided that the ‘usual’ process of flicking through design magazines to discover good design ideas was frustrating at times. Some magazines were good, some not so much. They spoke to family and friends to get recommendations but after completing their home upgrade they decided to start a website where people to come to search for ideas. Houzz has now grown into one of the prime locations for home design ideas and it is also a place for building and home landscaping professionals to showcase their work.